Last updated on: 20 November 2014. David Marrero Santana (Spanish pronunciation: ; born 8 April 1980 in Las Palmas, Spain) is a professional tennis player from Spain. He has achieved most of his success in doubles, winning 9 titles and reaching a career-high doubles ranking of World No. 5 in November 2013. Marrero earned his first world ranking late in 2000 as a 20-year-old, but he spent only a few weeks inside the top-500 until early 2005. By late 2005, he had made it into the top-300, but faded over the next year to close out 2006 outside the top-400. In the middle of 2007, he again inched into the top-300, but faded again to close out 2007 at No. 362. As a qualifier, Marrero reached the final of a Challenger in Chile in January, losing to No. 132 Rubén Ramírez Hidalgo after upsetting No. 272 Sebastián Decoud, No. 187 Adrián García and No. 111 Nicolás Lapentti. This result brought him back into the Top 300 at World No. 289. The very next week he gained revenge over Ramirez-Hidalgo to qualify into an ATP stop in Chile, where he again beat Garcia before losing to No. 104 Fabio Fognini in the 2nd round. In February, Marrero scored another upset, defeating World No. 114 Máximo González. 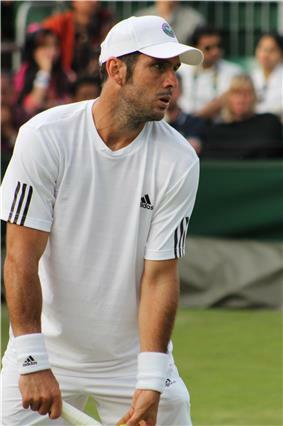 Marrero reached his career-high singles ranking of World No. 143 in February 2010. Won tournament; or reached Final; Semifinal; Quarter-final; Round 4, 3, 2, 1; competed at a Round Robin stage; lost in Qualification Round; absent from tournament event; played in a Davis Cup - / Fed Cup Zonal Group (with its number indication) or Play-off; won a bronze, silver (F or S) or gold medal at the Olympics; a downgraded Masters Series/1000 tournament (Not a Masters Series); or a tournament that was Not Held in a given year. To avoid confusion and double counting, these charts are updated either at the conclusion of a tournament, or when the player's participation in the tournament has ended.